Don’t get me wrong, I totally eat McDonalds. If I’m doing to eat a burger, McDonalds is my number once choice. I love a good ‘ol cheeseburger, preferably the deluxe cheeseburger, because it comes with lettuce and mayo. Should I eat less of it? Yes, absolutely. Am I eating less of it? Yes, I actually am. Well, since this July just past. What changed my attitude? I already knew it made me fat… I had an idea that it wasn’t so great for the environment… It had occurred to me before that it was a community issue that needed to be addressed by society. What caused a change for me was that, in my infinite need to find new examples of teaching and presenting information, I came across enough well presented information on the topic to sway me. Here’s the three messages and the three methods by which that information passed into my (thick) skull. Each piece was compelling enough to start the cogs turning, but together they created a proper, informed notion that I shouldn’t eat McDonalds very often. In fact, hardly ever. Message One: I’m not built to eat this stuff (i.e. it makes me fat), and it’s not good for the environment. Method: The always excellent Michael Pollan at PopTech 2009. I first clamped eyes on this presentation when it was used as an in Nancy Duarte’s book Resonate (an excellent resource, get yourself a copy NOW), and in a book it was convincing. When I finally got around to watching the video earlier this year, the tables turned. Engaging speaker? Tick. Polished and effective Powerpoint presentation? Tick (you can thank Duarte for that one). A demonstration that will leave your mouth agape? TICK. If you haven’t already, check it out. The demonstration blew me away, but for you it might be one of the images in the presentation, or one of Pollan’s jokes. My point: there’s a tonne of opportunities to get the viewer onside in this talk. Message Two: This is a social issue – it isn’t good for my community, it doesn’t make my neighbourhood better. 1) This interactive map which shows the number of McDonalds restaurants in 2007 compared to 2012 by country. Twenty more McD’s have popped up in New Zealand over the last 6 years, and I’m pretty sure FOUR of them are within ten minutes drive of my house. New Zealand is small, but it’s not THAT small. 20% of the new restaurants in the past 6 years so close to my house? No thanks! 2) The graph of people per restaurant (per capita) graph. New Zealand is fourth?! That’s a little high for my liking. This combined with regular articles in the paper about increasing obesity rates, it was enough to get me thinking that perhaps I need to ‘vote with my fork’ as Pollan says, and vote NO to so much of this stuff being in my community. Message Three: Food waste is appalling, especially in the western world. Who am I helping by eating this stuff? Being wasteful isn’t necessarily a middle-class or western problem, and this was a great reminder that I could be better (and to be perfectly honest, I think my waste is modest compared to some friends and family). Regardless, I could definitely work on this – and I reckon not eating fast food so often could be a good starting point. So there you have it, three messages and three methods. There are lots of ways to present a piece of information, so don’t limit yourself by mastering just one – you might just find that a new method and new approach to your content can rejuvenate it entirely, and open it up to a new audience. ‘Friday Fun with Infographics’ is something I just made up, so please forgive me if I don’t continue to post infographics on Fridays, or if I post infographics on other days of the week. I just like infographics, is all. I also love sushi and all things Japanese. I stumbled on this rad ‘8 Things Worth Knowing About Sushi’ infographic, and felt compelled to share. I’m not ashamed to admit that I learned a thing or two about sushi etiquette from it as well, and will adjust my sushi eating accordingly. I’d also like to bestow an honourable mention to the Merry Makizushi infographic. this infographic is cute, brief and informative – three things an infographic absolutely should be. I now very badly want to possess a sushi wheel resource that I can refer to the next time I’m having difficulty choosing what to eat at Bian, Auckland’s bestest ever sushi and donburi restaurant (IMHO). I’ll possibly make one over the Christmas holiday. I don’t know about you, but I became completely and totally obsessed with X Factor NZ. Well done Jackie, love you Benny, onya Whenua. 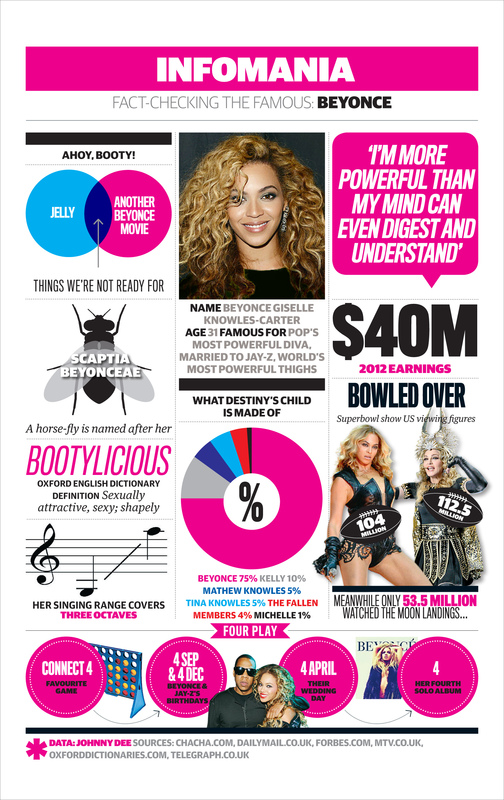 An excellent X Factor infographic came across my Twitter feed this past week, via the always entertaining Cate Owen. HURRAH to the people at Mediaworks Interactive for this, because it a) helped plug my need for X Factor related content in a post-ekfac world, and b) they’ve crammed a tonne of information into this infographic, but it doesn’t seem like it AT ALL. See? Even dry content (as rad as X-Factor was, stats are stats) can be fun and engaging AND sell your product/message to your audience.